Gaskins Co., Inc. Applications | Gaskins Co., Inc.
2. 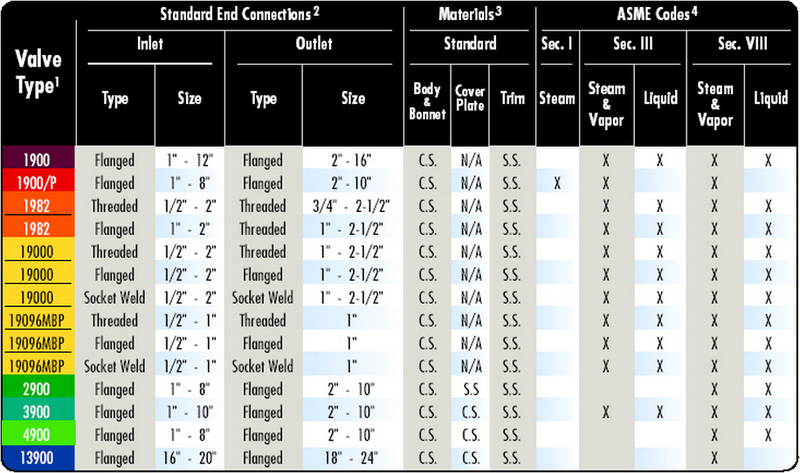 Flanged inlets are available with a selection of ASME facings. Refer to the color coded product sections for description. 3. Refer to the color coded product sections for optional materials that are available. Contact us for special requirements. 4. Pressure relief valves are ASME approved for application of the appropriate code symbol stamp. F.H. Gaskins Co., Inc. 2419 Church St., Norfolk VA 23504 4 Nashua Ct.